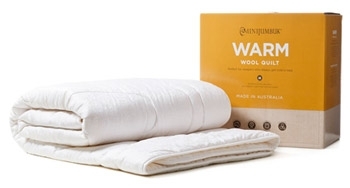 The MiniJumbuk Warm Australian Wool Quilt has 450gsm of Australian wool filling and 400 thread count soft cotton sateen casing. Made using Airlight TechnologyTM. 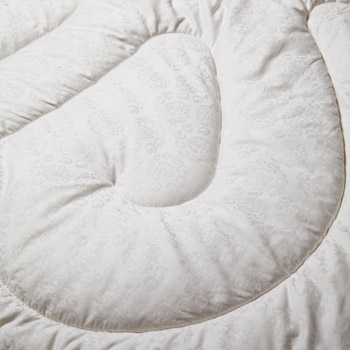 The 4 layer design and superlight cotton casing retain up to 20% more heat while being a similar thickness to standard wool quilts. Suitable for those with allergies and asthma concerns. 5 Year Guarantee. MiniJumbuk product is crafted to the highest possible standards. It is designed to high and exacting specifications and crafted using the latest technology and equipment of the products will stand the test of time whilst still being luxurious and comfortable. 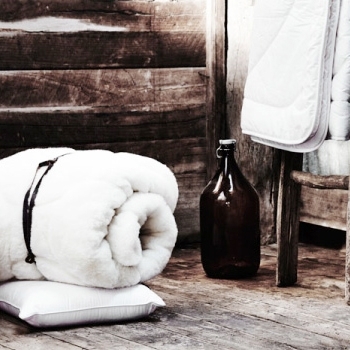 MiniJumbuk continues to pioneer the innovative processing of wool to create quilts, pillows, underlays and blankets that improve sleep, enhance comfort and offer the ultimate in bedtime luxury. Care and attention to detail are at the heart of what they do. 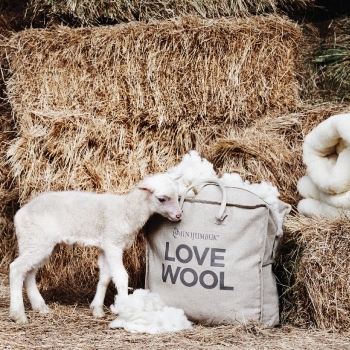 Formed in the skin of the sheep, wool is a natural protein fibre. Renowned for its effective all-weather protection, wool’s unique characteristics are unmatched by any synthetic materials. Able to absorb and release water vapour to and from the air as humidity levels change. Generating and retaining heat as it absorbs moisture provides an insulating effect, keeping the body at an even temperature. Tightly packed, crimped fibres create tiny air pockets that enable wool to absorb up to 30% of its weight in moisture without feeling damp to touch. Evaporation releases the vapour to the atmosphere while skin remains dry and comfortable. The unique combination of insulating and breathability properties allows wool to continually adjust to changes in body temperature, keeping the body warm in winter and cool in summer. The scales that coat the wool fibres minimise floating dust, capturing and holding particles until they are vacuumed away. The waxy fibre structure creates an unpalatable environment for dust mites and bacteria growth, making wool a good choice for asthma and allergy sufferers. 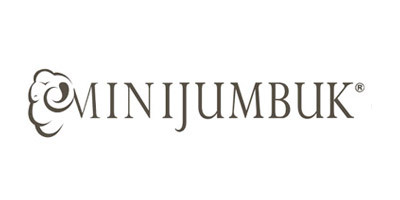 MiniJumbuk has had a commitment to ensuring their customers to have the most comfortable sleep possible. 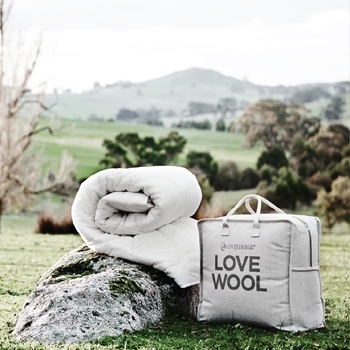 Long serving team of skilled artisans pride themselves in creating and crafting top quality Australian wool bedding products right here in Naracoorte, South Australia.